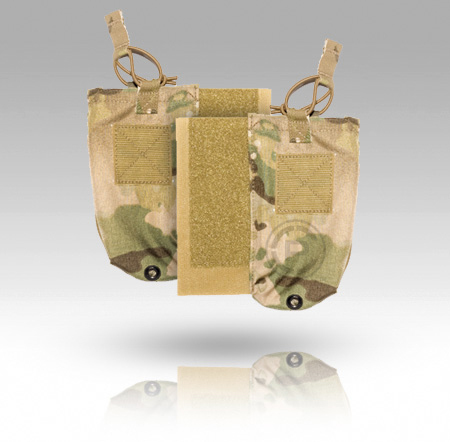 Designed to carry one MBITR-sized radio or two mags. 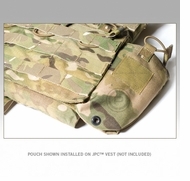 This pouch attaches via VELCRO® Brand fastener under the front flap of a vest. 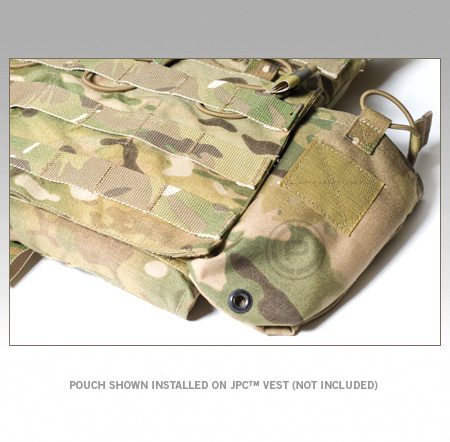 Ideal for the JPC™. Stretches to fit contents. Adjustable ride height. Left and right pouch included.